On Friday, June 22, Premier Companies participated in CountryMark’s 10th annual Fueling Freedom event. The event raised more than $62,000 to support local National Guard Family Readiness Groups. During Fueling Freedom events, CountryMark employees and CountryMark branded dealers stand side-by-side with volunteers from local National Guard units to pump locally refined fuels for customers. Thirty-nine CountryMark-branded fuel stations in Indiana and Ohio participated in CountryMark’s Fueling Freedom program this year. 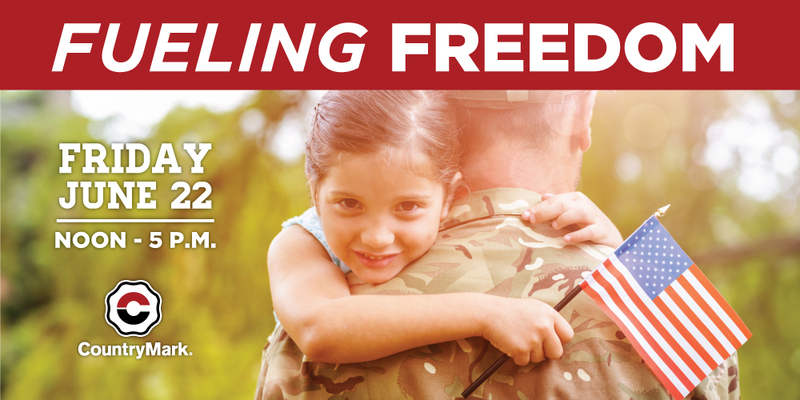 CountryMark and local branded dealers donate a dollar for every gallon of lubricants sold and 50 cents for every gallon of fuel pumped to the local National Guard Family Readiness Groups (FRG). Donations from each participating Fueling Freedom site were given to the National Guard Family Readiness Groups located closest to the participating fueling station. Family Readiness Groups help build National Guard unit morale, build unit retention and increase participation levels in family-related unit activities.